The Sliced Porcini Mushrooms from La Bottega del Fungo are a delicious product obtained by carefully selecting the best porcini mushrooms, sliced and prepared according to the most antique tradition. An elegant idea for an appetiser with an intense flavour, which will put the true flavour of Italian enogastronomy on your table! This small family operated company is located in the homeland of the porcini mushroom, in Borgotaro (Parma). 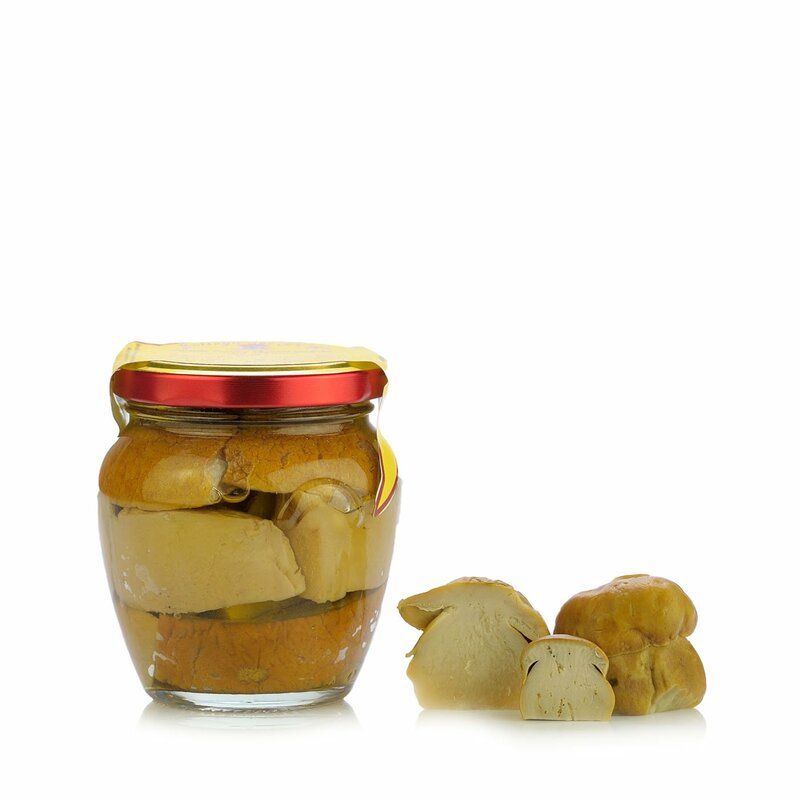 Delicious jars of porcini mushrooms in olive oil or aromatic dry porcini mushrooms in different qualities, suitable for preparing sauces and creams.